I took a little look back at the goals I set myself at the beginning of the year to see if I had made any progress. 1. Stay strong no matter what. In the long run, I'm still standing so does that mean I achieved this? It has been a struggle. 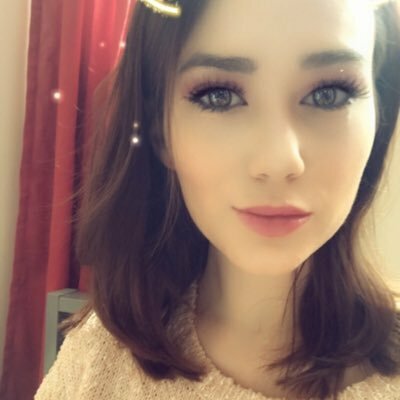 I have faced a lot of change in terms of my mental health (state and treatment) and that has been key to how I've felt. I have been up and very low down but I have tried my hardest at all times...even when it seemed hopeless. 2. Find some happiness. If I can't find it, make it. I'll be honest, I have spent the majority of this year feeling incredibly miserable. The medication I was taking was making me feel lower than low and my mood pretty much hit rock bottom. In my darkest moments, I have desperately searched for happiness and haven't found it despite it being all around me. It was later in the year when I came off my medication that I started to feel like myself. I could see all the good things I have and I embraced them. 3. Keep up with my diary. So I failed with this one. I had so much on my mind that I just forgot. I started well... then drifted. I wrote a lot of notes in the back though. 4. Lose quite a bit of weight. I realised that I had gained more than I was comfortable with. I went through the year on those tablets gaining weight despite healthy eating so I just gave up. But when I came off of them I noticed the weight falling off with no changes to my lifestyle. Overall I have lost about 8lbs since coming off of them in November which I'm pleased about. 5. Build on friendships and create new ones. Another one I have struggled with. When you hit such a low you don't even want to interact with your dearest friends so at times, my relationships were strained. But I still have my wonderful tight knit group. I have also built on my family bonds too. That has been one of the best things about 2016. I have got closer to my cousin and we have a wonderful relationship that has really helped me. I feel so lucky to have such great supportive people around me. I don't actually have any goals to set. This last month has taught me that I need to take each day as it comes. So I just want to embrace each day and squeeze all the happiness I can out of each day. I actually do want to give 'keeping up with a diary' another go. It should be easy this year because I have a beautiful one created by Dani DiPirro (the creator of PositivelyPresent.com). 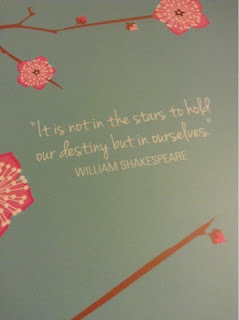 It is everything I want in a diary...There are inspiring quotes, beautiful illustrations and lots of space for notes. It is so aesthetically pleasing. Every month, the diary focuses on a different theme and starts with an affirmation keep in mind as you progress throughout the month. I am hoping this diary helps me embrace each day and gives me a reason to sit down, focus and reflect as the days go by. 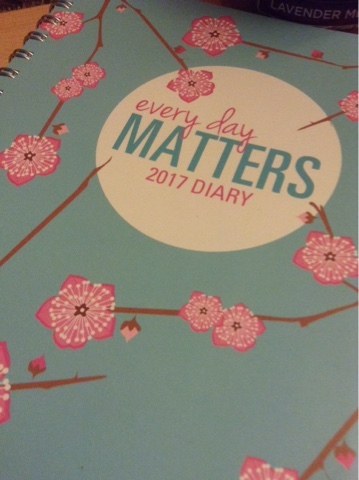 If you want to grab a copy of the diary (full or pocket size), it is available in WHSmith, The Works and Amazon. Ah I need to loose weight too this year! Good luck! It's great. Lots of space to write things too which is good.